Bhopal: Madhya Pradesh Chief Minister Shivraj Singh Chouhan, who has kept development as his prime agenda during his two consecutive terms as Chief Minister and has played a key role in ensuring his State sheds its BIMARU tag (Bimaru in Hindi means sick and the nomenclature was derived by clubbing madhya Pradesh with with the least developed states in Hindi heartland like Bihar, Rajasthan and Uttar Pradesh), was conferred with the prestigious Lee Kuan Yew Exchange Fellowship at Singapore last Wednesday. Chouhan is the 48the and the fourth Indian recipient of Lee Kuan Yew Exchange Fellowship. The award was conferred when Singapore is celebrating its 50th independence day. The chief minister has received the award for excellent work and innovation sectors like agriculture, irrigation, power, and women’s empowerment. 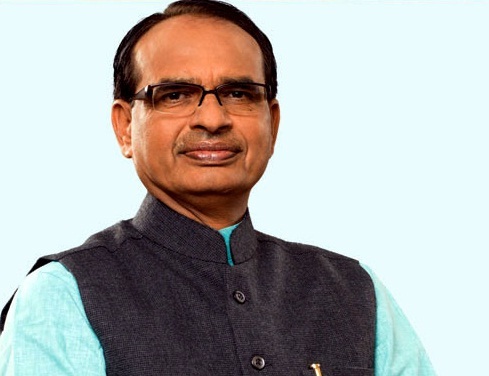 Addressing a dignified function at Singapore to felicitate the Chief Minister, Chairman of Lee Kuan Yew Exchange Fellowship (LKYEF) Eddie Teo said that marvelous development and public works have been undertaken in Madhya Pradesh under the leadership of Chouhan. The institution has chosen the chief minister for this prestigious award due to his innovative development initiatives, he said adding that the institution feels proud by honouring him. Former PM of Singapore and now Emeritus Senior Minister Goh Chok Tong had led a 15-member parliamentary delegation to Madhya Pradesh in 2014. A presentation on inclusive growth, achievements in infrastructure development and innovation in public welfare works during that visit. The Singapore leaderr was impressed by Madhya Pradesh’s growth rate, agriculture growth and works undertaken for women’s empowerment and in the social sector. He had recommended Chouhan’s name for the award. At the felicitation function, Chouhan met Singapore’s PM Lee Husien Loong. He also met Goh Chok Tong, Industries Minister S. Iswaran, Minister for Foreign Affairs Mohammad Maliki Bin Osman. Previous Indian recipients of the fellowship include former Vice Chairman of Planning Commission Montek Singh Ahluwalia, former Union Minister for Disinvestment Arun Shourie and Chief Minister of undivided Andhra Pradesh Dr. Chandrababu Naidu.